Preheat oven to 220°C (425°F). Mix to combine the harissa, honey, orange rind, half the oil, salt and pepper and brush over the lamb. Place on a large baking tray lined with non-stick baking paper and roast for 20 minutes for medium rare or until cooked to your liking. Place the quinoa, cucumber, orange, spinach, mint, feta, remaining oil, lemon juice, salt and pepper in a bowl and toss to combine. 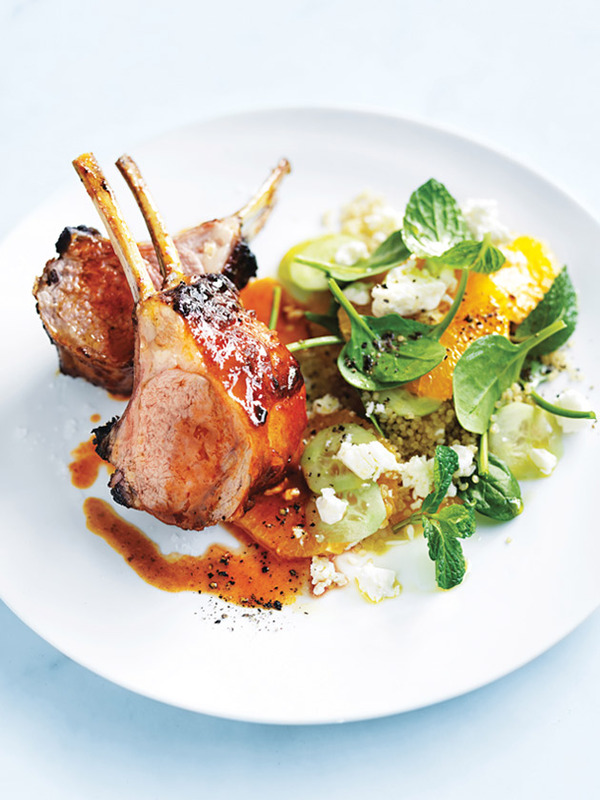 Slice the lamb and serve with the salad. Serves 4.